Want it by Wednesday 24th April? Order within 2 days, 23 hours, 16 minutes and choose Next Working Day - Kerbside Delivery (Order Must be Placed by 2pm) at checkout. Elite Stone Venus Slate is a modern laminate tile that will act as a stunning addition to any home. This product will brighten any room and open the space giving the impression of a larger room. 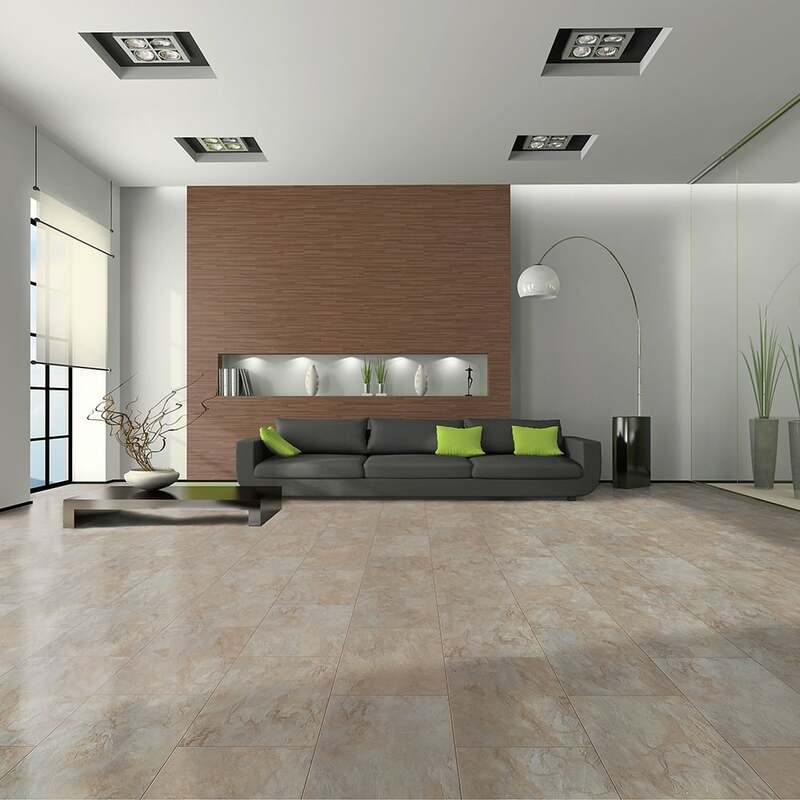 With the quality of the Elite Stone brand and the advances in laminate flooring it is challenging to tell the difference between laminate and ceramic tiles once installed. Each 2.047m2 pack contains twelve 8mm thick planks with the easy click fit installation system. Absolutely perfect colour and design for what we were looking for. As soon as we saw it we knew there was no need to consider anything else. We will definitely be ordering this in the next 2 weeks. Excellent product, but unfortunately not quite the rights colours to match our decor. Just as shown on site, perfect for what we wanted. Good quality- brilliant service from Robert in sales dept. Delivery as promised, no damage, well wrapped, on time. I let my daughter choose this design of laminate flooring .From the sample received I could see have chosen the right one. It will make the new conservatory complete.